The northern pintail is a large duck that is found through out much of the Northern Hemisphere. It is circumpolar and nests in Canada, northern Europe and Asia. They are found primarily in wetland habitats. These birds are migratory and will migrate as far as the Equator during the winter. 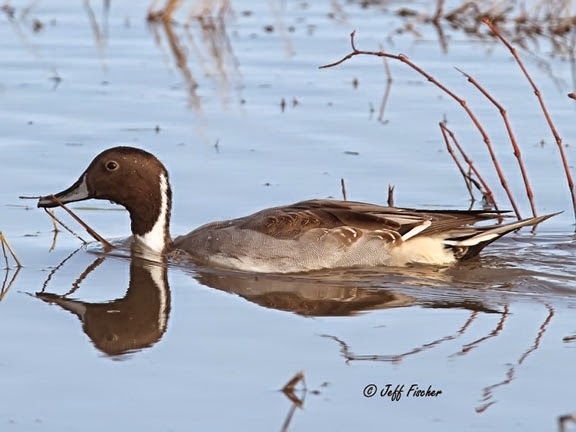 The pintail is a dabbling duck. They eat aquatic vegetation that they find by sticking their heads below the water while floating on the surface of the water. There are no subspecies of the northern pintail. However there is a offshoot called the Eaton's pintail that is found on islands in the Indian Ocean. These ducks are considered to be an evolution from the northern pintail and are considered their own species. They're such a photogenic bird. Great captures. 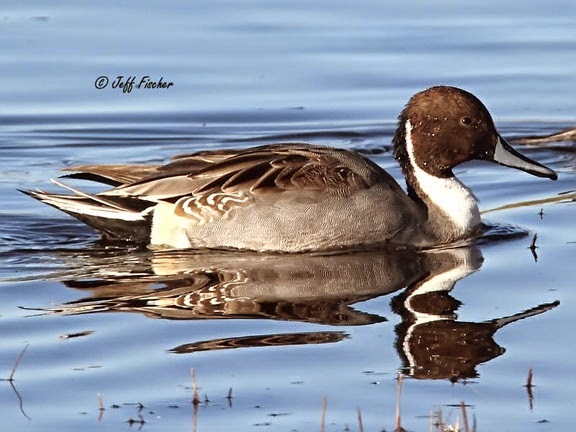 A couple of lovely photographs of the pintail in the water. The reflection on the top one is great. Not as colourful as your last week's friend but she looks wonderfully graceful. Pretty special duck. Elegant I might say. I love their visits in winter. Beautiful ducks for sure! Very nice! Loved the info and the shot! Wow! Beautiful bird, photos and reflections. What a pretty duck The Pintail is, the first shot is a great one! Thanks for sharing, yet, again, more fabulous photographs! They're such faraway travelers. Amazing! First Butterflies of the Year.